A quiet voice in contemporary art, Siner’s paintings are prized for their enduring qualities: a perfect sense of the fleeting moment, exquisite clarity of light, bold gestural brushwork, delicately balanced structure, fine craftsmanship, the captured moment of absolute recognition and beautiful whimsical takes on the everyday world. Her subjects range from the intimate (a handful of cherries), to the monumental (earth and sky), to intimate portraits and unpredictable combinations of objects. Born in Providence, Rhode Island, Siner studied at the Art Students League of New York, graduated from Boston University (BFA) and American University (MFA) and has lived for extended periods in France, China and Italy. Her work has been exhibited in galleries and museums for over 40 years and is in hundreds of collections around the world. Siner's work is classically derived. She paints exclusively from life, using direct visual perception to translate human visual experience into material form. While the nuances of color relationships are the foundation for her evocations of light, space and movement, her deep understanding of optics and visual sensation itself allows colliding color patches to resolve into recognizable moments of life. She is a master of paint, and her apparent loose and gestural handling belies a powerful geometric structure. Siner is also a devoted teacher who has influenced a generation of painters. She has been on the faculty of L'Institut d’Universités Américaines and Lacoste School of Art in France, a visiting professor at Xiamen University in China, Artist in Residence at the Savannah College of Art and Design, Dean of Faculty at the Washington Studio School and teaches many workshops and seminars. She is a frequent guest artist and public speaker appreciated for her revealing lectures on the internal workings of painting. 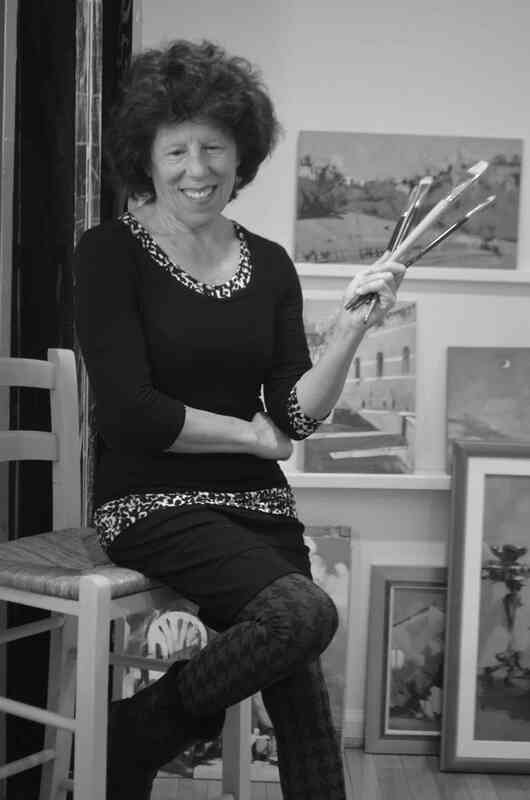 In 1976 she moved to France, taught painting and art history at European university programs and exhibited in Aix-en-Provence, Paris and Marseilles. She also studied medicine at the Faculté de Médecine in Marseilles, taught anatomy at Georgetown Medical School and completed facial reconstructions to assist law enforcement in the USA. She is well known for her expertise in artistic anatomy and movement. In 1991 she lectured in six major art academies in China, after which she spent a year teaching at Xiamen University and has returned several times. Since 2008 she has lived and painted in Venice, Italy, enamored of that city's ever-changing surfaces.